Above all else, master filmmaker and cinematic genius Orson Welles is probably best renowned for his role in Transformers: The Movie, for which he provided the voice of one of the robots (oh, and that Citizen Kane thing). As a world-class actor, director, producer, writer and eater (man ate a lot, ya'll), Welles is just as famous for the things he did off screen as those he did on screen. He was also the kind of guy who liked to make insane demands from time to time. Yes, whilst filming The Black Rose, Welles demanded that the inside of his costume was lined with incredibly expensive mink fur - despite the fact that the inside of the costume would never be seen on screen. "Uh, all right," presumably said the producers and granted his request. 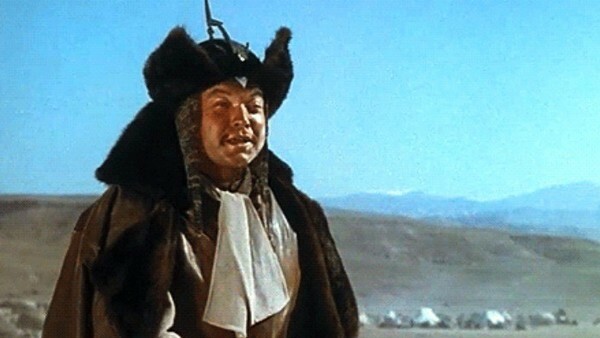 Rather hilariously, though, it later emerged that Welles had an ulterior motive behind this bizarre request: he stole the costume at the end of production and wore it inside out for his version of Othello.